Do you often pay attention to how you breathe? I think it is unlikely. This is such a habitual and natural process that we practically do not notice it. But according to international studies, most of us breathe superficially, which is not very good for our health. Scientists of the world have long come to the conclusion that proper breathing can prolong life and make it more saturated, productive and energetic. You need to breathe deeply, slowly and rhythmically through your nose, and not with your mouth. It is important to use not only the chest, but also the diaphragm. The exhalations, like the exhalations, must last from 3 to 5 seconds. Deep breathing is often called diaphragmatic, abdominal, abdominal breathing. It is enough to breathe deeply for 10 minutes two or three times a day, and your body will be provided with powerful both physical and mental support. 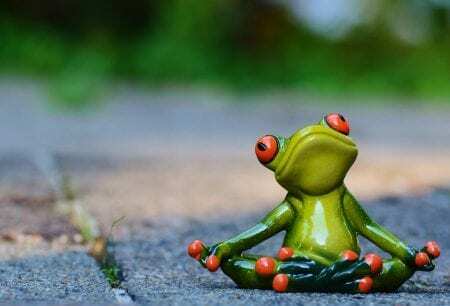 If you put a little effort and patience, then deep breathing can gradually enter into a useful habit. For the initial exercises you need, first of all, to take a comfortable position, sitting or lying down, and completely relax. In order to control the correct process of diaphragmatic breathing, put your hands on your stomach and relax your muscles. Then take a deep breath through the nose, slowly counting to five, and make sure that it does not lift the chest, but the stomach. Hold your breath, counting to three. And just exhale slowly through the mouth, completely freeing your lungs from the air and slowly counting to five. Repeat the exercise for five to ten minutes twice a day – in the morning and at bedtime. With regular exercises, you gradually get used to breathe deeply. • Hang in your home reminder stickers to keep in mind deep breathing. Deep breathing sends signals to the brain that stimulate the nervous system to relax and rest. This significantly reduces the production of stress hormone – cortisol, bringing our health a lot of benefit. Try to go to a comfortable place in stressful situations and take a few deep breaths. Regular exercise with proper, deep breathing contributes to weight loss. The more oxygen enters the body, the more fat is burned in it. Since breathing exercises concentrate in the abdomen, it causes a change in blood flow to different areas of the brain and positively affects metabolism. In addition, a large amount of oxygen copes with fat molecules, breaking them into water and carbon dioxide. Well trained lungs improve our vital functions. Diaphragmatic respiration plays a key role in the expansion of lung tissue. This increases the functionality of the lungs, helps prevent their inflammation. That’s why deep breathing is especially useful for people with heart and respiratory problems. Lungs play an important role in eliminating toxins from the body. But with superficial breathing, the lungs do not perform their work in full. Because of this, toxins begin to accumulate and entail many health problems, weight gain and fatigue. Making the work hard. Deep breathing will help to eliminate toxins. Slow breathing strengthens well and activates the parasympathetic system, helps to get rid of harmful salts that cause pressure jumps. To maintain a healthy heart, it is sufficient to practice deep breathing two to three times a day for ten minutes daily. Deep breathing before bedtime soothes the central nervous system and performs the role of meditation, reducing psychological stress. And when the head is clear and calm, then it’s much easier to fall asleep, and the quality of sleep is better. For greater effect, it is recommended to combine deep breathing with other relaxation methods: taking a warm bath, listening to pleasant music. For those who suffer from motion sickness in transport, deep breathing can become a real wand-rescue. It activates the activity of the parasympathetic nervous system, which helps to reduce the symptoms of motion sickness. One of the first reactions to pain is holding the breath. However, it is slow, even and deep breathing that can alleviate the pain sensations. It activates the work of natural painkillers in the body – endorphins, controls the psychological state, blood flow, skin temperature and reduces the level of acidity with an emphasis on alkaline environment. With her, the body is easier to cope with the pain. Diaphragmatic breathing increases the flow of oxygen and circulation in the body, which increases the level of energy and endurance. Deep breathing has a positive effect on a healthy sleep, which is also important for the conservation of energy. So breathe deeply and do not be ill! Previous PostPrevious How can I prevent memory loss?